We are baptized for Life! Whether as an infant, a child or an adult, when we enter the waters of Baptism and participate with Jesus in his death and Resurrection, we do so for the rest of our lives. We are marked as Christ’s own forever! Northern Indiana is one of six Dioceses in the country that has been invited to participate in a nationwide Episcopal Initiative of Discipleship called Baptized for Life. Funded by the Lilly Foundation and sponsored by Virginia Theological Seminary, Baptized for Life, has as its goal to help identify, embrace and sustain the vocation of every Christian. The Baptized for Life initiative is driven by the conviction that congregations, with God’s help, can form lives of meaning and purpose and can help individual Christians realize and live out their vocations. Each Diocese that has been included in the Baptized for Life can include two to three congregations to participate in the initiative. 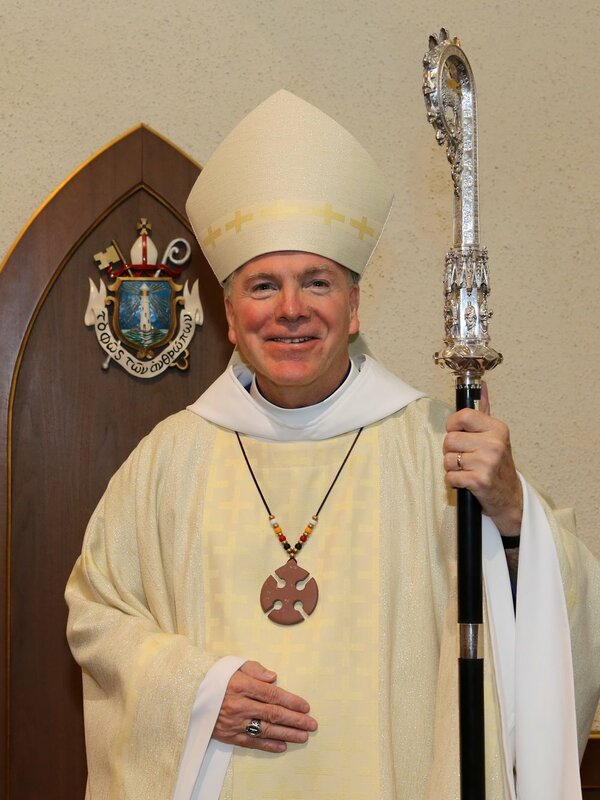 In Northern Indiana, the congregations participating are St. Paul’s in Mishawaka and St. Thomas/Santo Tomas in Plymouth. This five-year initiative begins with participation in the RenewalWorks Spiritual Life Survey (sponsored by Forward Movement) which helps congregations to assess where they are spiritually. Using feedback from the survey, the congregation then engages over the next couple of years in four workshops, facilitated by an outside Catechist (trained by Virginia Theological Seminary). The workshops are based on the ancient Catechumenate which is an intentional process, marked by participation in communal worship, study, service and liturgical rites, that help an individual to deepen their level of commitment to the Way of Jesus. Congregations are also offered grant assistance of up to $25,000 for a ministry project that will facilitate their goals. Baptized for Life invites congregations to draw deeply from such resources as Holy Scripture, the transforming power of the Eucharist, the life of the community and the heart of the leaders (both lay and ordained). If you have questions about the process of Baptized for Life in Northern Indiana, please contact Mtr. Susan Haynes, the Diocesan sponsor at susan.haynes@gmail.com. 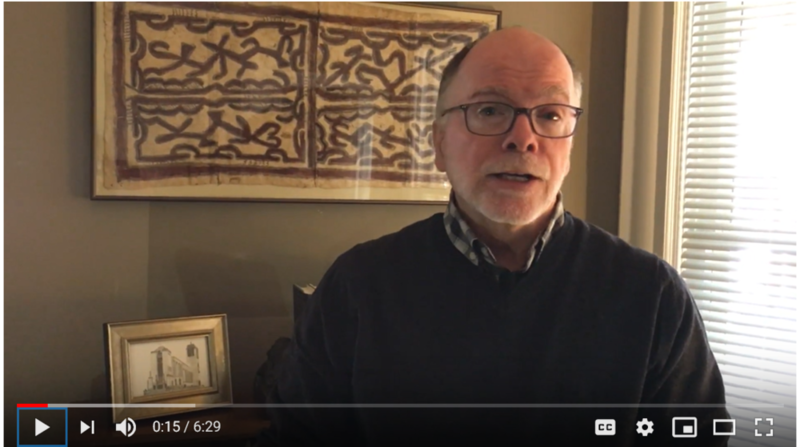 Bishop Doug Sparks and the retired bishops of the Diocese of Northern Indiana, Bishop Ed Little and Bishop Frank Gray, reflect on their Lenten focuses for 2019. The Episcopal Church has put together several Lenten resources for individual and parish use. Please review the materials and select one that will aid your spiritual journey through this Lenten season. On Feb. 16, a Muslim man, by the name of Mustafo Ayoubi, was shot and killed in Indianapolis after being the victim of road rage and the recipient of anti-Muslim slurs. The sister of Ayoubi made it known that she desired for a hate crime investigation to take place. But the state of Indiana is one of five states that does not have a hate crime law. As Indiana faith leaders we are saddened by this event and hold Ayoubi’s family in our prayers. We also add our collective voice to call for hate crime legislation to be enacted. Our faith traditions share the belief that all persons are created in the image of God and are created with inherent dignity and worth. This understanding makes it all the more imperative that hate crimes legislation be enacted that is thorough, just, and reflective of the diverse humanity that makes up our communities. We strongly urge our elected officials to pass legislation that will define what constitutes a bias-motivated crime and include specific classes that are protected by the law. Crafting legislation that offers specific language to address crimes related to race, gender, and sexual orientation is crucial to all feeling safe and at peace. We especially urge our elected officials to ensure that the statute they pass protects people on the basis of gender identity, since transgender people in our communities are among the most vulnerable of God’s beloved children. All Hoosiers deserve the safety and protection of a hate crime law that is specific and clear. We are grateful for our elected officials and hold them in prayer as they craft this needed law. May such legislation underscore the dignity of all whom God has created and reflect our proud history of Hoosier hospitality. Originally posted in the Indianapolis Star Letters to the Editor on March 3, 2019. 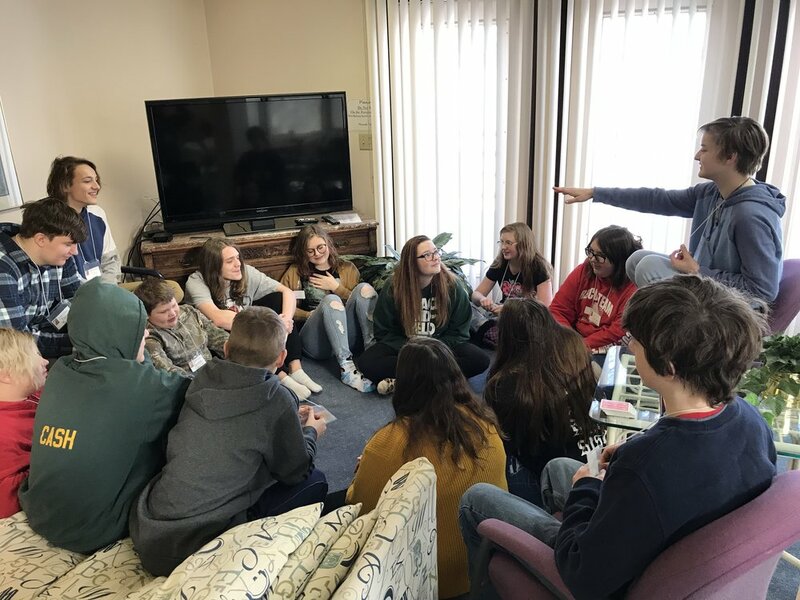 Twenty youth from around the diocese gathered at Lake Wawasee at the end of January for the annual Diocesan Winter Youth Retreat. The Winter Youth Retreat had teen speakers that shared how God is working in their lives, as well as activities and time for fellowship.